Cardiovascular diseases (CVDs) are consistently ranked as the largest cause of death in the world. Most CVDs are preventable through physical activity and a healthy diet. Over the past 40 years, eating patterns have become progressively varied and irregular with demanding lifestyles. Breakfast, lunch and dinner meal times are being missed in favor of snacking throughout the day. However, irregular eating patterns are cause for concern with links to increased risk of cardiovascular disease, obesity and diabetes. According to a new report, regular meal times are just as important as what you eat due to the impact on the body’s internal clock. Interestingly, people who eat breakfast tend to have reduced rates of heart disease, low cholesterol, and low blood pressure with normal blood sugar levels. People who skip breakfast, are more likely to snack throughout the day, have poor nutrition that may lead to obesity, and diabetes. People who do not eat breakfast have a 27% increased risk of heart disease and 18% more likely to have a stroke. Furthermore, late-night snackers also have a greater risk of poor cardiovascular health and are more likely to become obese when compared to those who eat earlier. 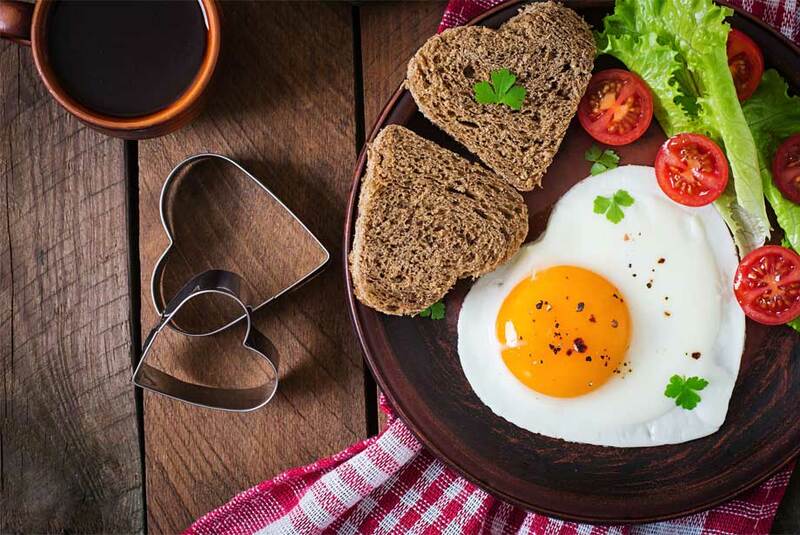 It is important to eat regular and nutritious meals, including breakfast, which may help limit snacking and possibly reduce the risk of heart disease, stroke and diabetes. Additional research is needed to further understand how meal times, frequency of meals and fasting can impact our health. Enzo Life Sciences is your resource for a wide variety of products for your Metabolism and Cardiovascular research needs. We offer a comprehensive portfolio of products from antibodies, proteins, and detection kits to libraries and much more. To enable the discovery and analysis of cardiac risk factors, we offer a range of products including the new PLAQPRO™ Lp-PLA2 Assay. This colorimetric readout assay measures the activity of Lp-PLA2 in serum samples as increased levels of Lp-PLA2 have been found in atherosclerotic plaques and rupture lesions.